The Full Moon day for this month falls today, 27th July; the next Full Moon will be Sunday 26th August. Today is also Asalha Puja day which celebrates the occasion when the Buddha expounded his first Dhamma Discourse. In appreciation of this event we will be chanting that discourse, the Dhammacakkappavattana sutta at evening puja. This will be followed with a talk by Luang Por Munindo. 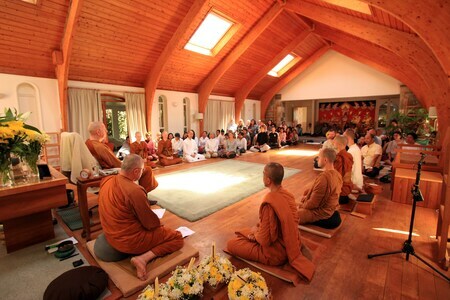 Earlier in the month Luang Por offered a dhamma talk called Making Wisdom the Priority. Our recent lake work day went very well with a lot of maintenance and tidying up being done. The next lake work day will be 18th August and as always everyone is welcome. 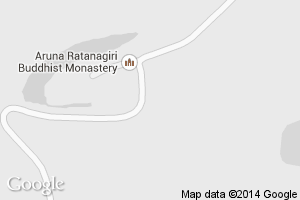 Tomorrow is the first day of our annual rains retreat ( vassa ), for which we are glad to have Tan Pasado from Amaravati join us. 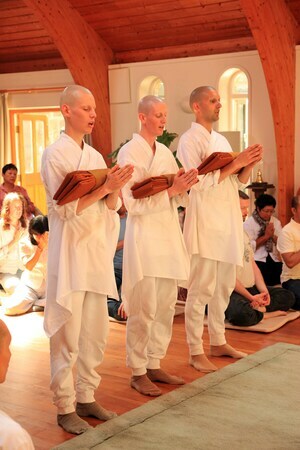 Anagarikas Charlie, Justin and Dan became Samaneras Nipako, Mahesako and Sangvaro, respectively, during a joyful Pabbajja ceremony on Sunday 22nd July. 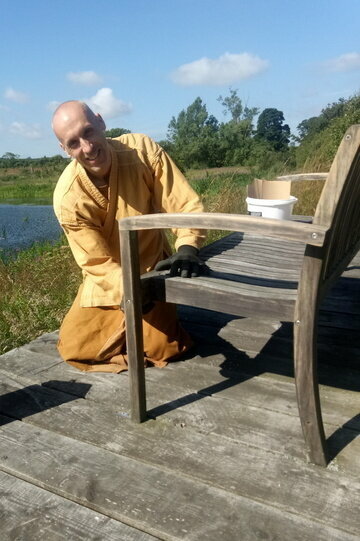 Next month, Sunday August 7th, Luang Por Munindo is expected to offer a Dhamma talk titled, It Is Obvious What We Need To Be Doing.